Martial Arts Classes Centennial: New to the Area? Moving to a new town or city can be very exciting, but for young children, it can be overwhelming. They are going to a completely new place where they don’t know anyone, and they’ve left everything and everyone familiar behind. At ATA Family Martial Arts in Centennial, our martial arts classes can be a great way for your children to make new friends, build lifelong skills, and become more comfortable in their new home. As a child, one of the biggest challenges of moving to a new place is making new friends. Their close friends are now perhaps hundreds of miles away, and even though they can stay connected via social media and other methods, they won’t see them in person as often as they did. Your local martial arts studio can be a great place for your child to make new friends. With age-appropriate programs for all levels, your son or daughter can train with kids their own age and get to know them better. 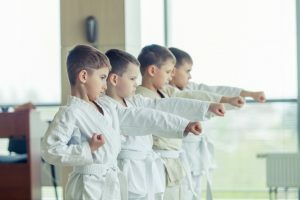 Chances are they’ll be in school with some of the kids in their martial arts class, and the socialization of the studio can help them feel more at ease in the classroom. Perhaps your child began karate or taekwondo training in their previous city, and you want them to continue their pursuit of martial arts. 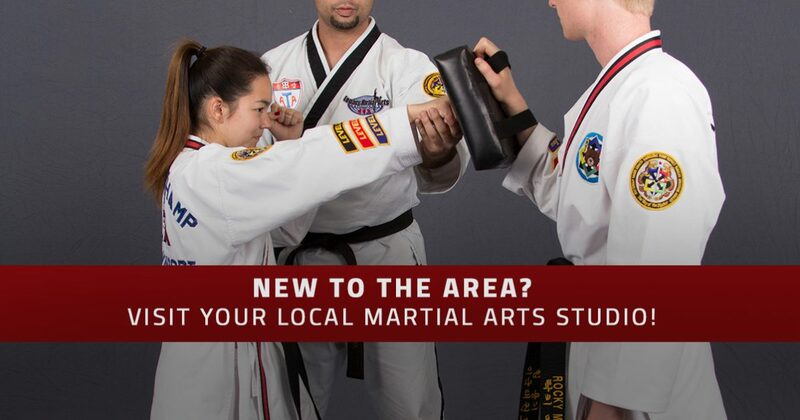 Not only will we match them with students of the same skill level, but they’ll also be able to continue developing the discipline, strength, and confidence that come along with martial arts. If your child is ready to move to a higher level of training, then we’ll make sure they’re enrolled in the proper class. Above all, we want them to have the opportunity to go as far as they can and earn the belts that they want! As a parent, one of your biggest challenges after moving to a new city is to establish a routine so that things feel more like normal. If you moved over the holiday break, then you had some time to get the house in order before the kids started school for the spring. If you moved in the past few weeks, then you’re probably scrambling trying to get everything together, while also starting a new job and making sure the kids have everything they need. Enrolling your child in a weekly martial arts program can help you create the routine that everyone needs. You’ll know that on a certain night each week, you’ll be bringing your son or daughter to our studio where they can interact with new friends and build their skills. At ATAFMA, we love meeting new people and learning about their passion for martial arts. If you’ve just moved to the Centennial area and you’re looking for classes for yourself or your children, then please visit us today. You can contact us by using the form below, by giving us a call, or by stopping by our studio on E Lake Avenue.